A female worker operates a naval gun rifling machine in the Royal Gun Factory at the Royal Arsenal, Woolwich, London, in May 1918. Three members of the Women’s Land Army employed on an English farm during the First World War. A female driver lies on the ground as she works on a wheel with a spanner. A member of the Women’s Forestry Corps uses an axe to mark felled tree trunks for sawing during the First World War. A motorcyclist with the Women’s Royal Air Force (WRAF) on a Clyno motorcycle combination. A female gas lamp cleaner of the Lancashire & Yorkshire Railway at work outside Victoria station, Manchester. When dressing in vintage, one is apt to stand from the crowd. Granted, that is a point in going against the grain of modern fashion, but for those who admire the clothing on Downton Abbey, but aren’t too keen to look too different from folks walking about in 2011, I think the very early 20s are very adaptable, accessible, and classic. The silhouette is a slim barrel. The waist is natural, but curves are not emphasized, and the look is very casual dressy. Look for slightly A-line or straight skirts that hit mid-calf or three to four inches above the ankle, and slips/petticoats of similar length to give the skirt some “body”. 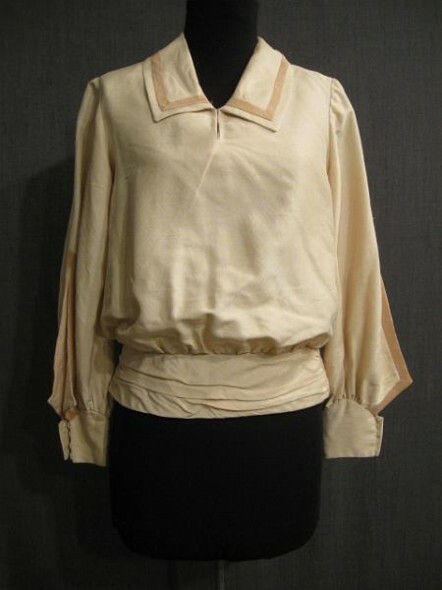 Blouses are neat and embroidered, with jewel or square necklines, or collared, in silk or other soft and elegant fabrics. This was the era of the sweater coat (or jumper in British terminology), and were made of thick, quality knit and came in a variety of colors. The bandeau brassiere made a breakthrough, though the camisole/chemise, drawers, and petticoat still held a firm grip on ladies’ undergarments, and women had yet to dispense with corsets (though these were more girdle-like). 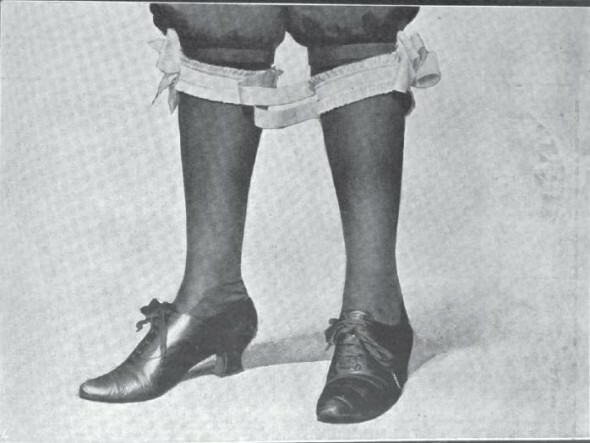 Hosiery were black and leather footwear with a louis heel or low heel remained popular. For men, fashions, of course, changed the least. However, the look was more relaxed, and sports clothes (sweaters/jumpers, trousers, rubber-soled shoes, etc) gradually crept into daywear. Hats were also more casual, with the flat cap usually consigned to country tweeds, and the homburg and the fedora, becoming the standard. The new contrivance follows closely on the heels of the much-discussed hobble-skirt, a freakish idea thrown up by the fashion tide, the lasting qualities of which are a moot question among the fashion authorities of both the Continent and this side of the water. Narrow in its confines, uncomfortable in the wearing, because of its pull-back effect, the women who wear them, so it is reported, have discovered that not only is free locomotion well nigh impossible, but if the wearer even makes use of her natural step when encased in one of these new freak gowns there is danger of a stumble and fall when least expected, and there is the added excitement of practically tearing the skirt asunder if it be fashioned of light material, unless a mincing gait is assumed.